The BC Reads! 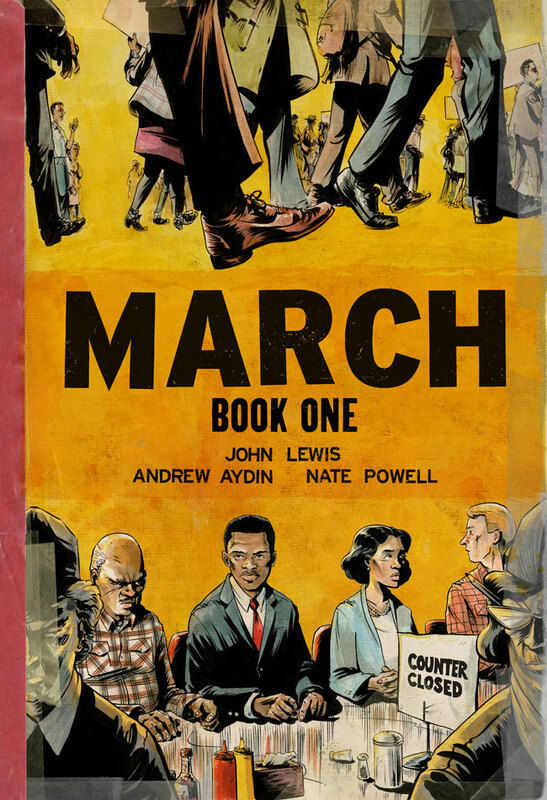 Selection Committee has chosen March a trilogy by John Lewis as the common book for the 2018-19 school year. 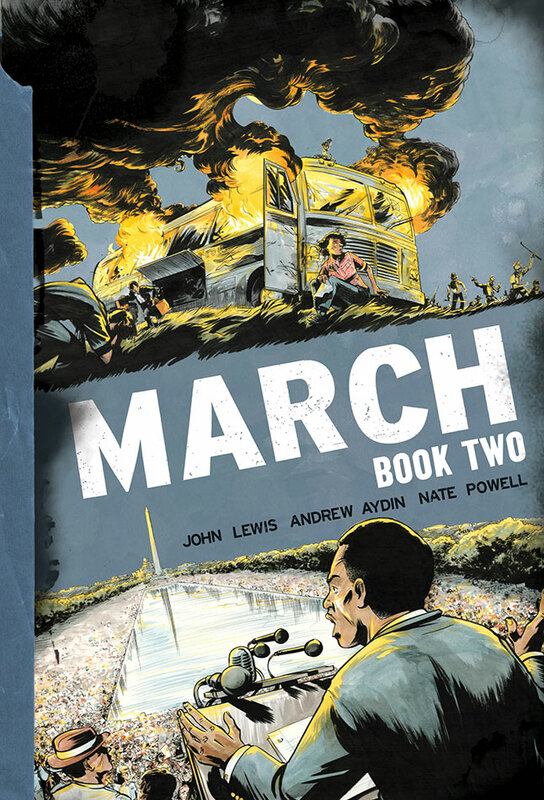 The graphic memoir trilogy March, by John Lewis, Andrew Aydin, and Nate Powell, portrays events of the Civil Rights Movement in the United States. This set chronicles Lewis’s early life on an Alabama farm, to his early involvement with nonviolent protests to fight segregation that lead to being gassed, beaten, arrested and nearly killed, and later his address to over 250,000 people alongside Martin Luther King at the August, 1963 March on Washington for Jobs and Freedom. Mr. Lewis is still a highly respected leader, and has been serving as the US Representative for Georgia’s 5th Congressional District since 1987. 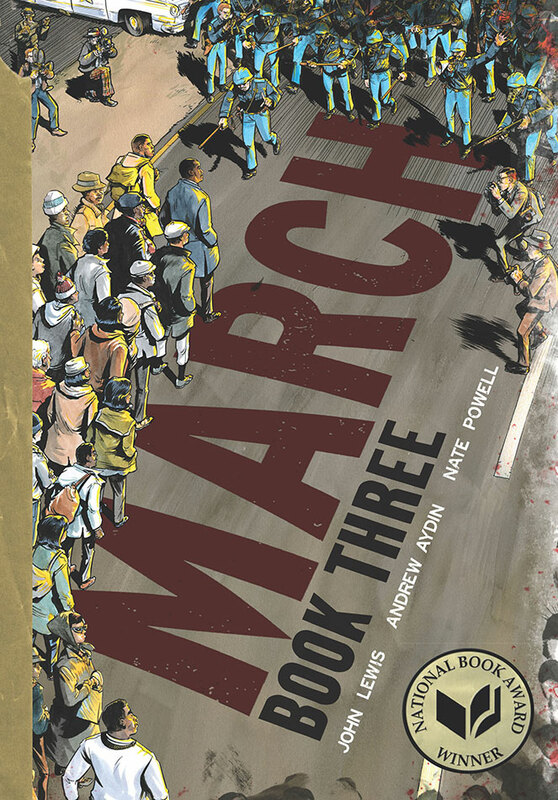 For more information on the March Trilogy, visit the March LibGuide. March is available from the Library Media Center. Books 1 and 2 are also available in e-book form on the Nooks, which are available from the Circulation Desk. Questions? Contact Wilma Dougherty, BC Reads! Librarian, wdougher@bellevuecollege.edu. View our list of Past BC Reads! titles.